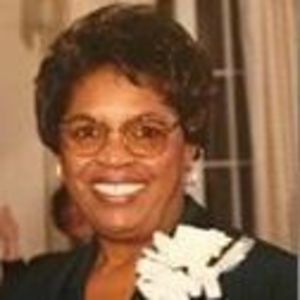 Shirley Ann Harris, 82, of Goose Creek, South Carolina, widow of Otis C. Harris, Sr. entered into eternal rest on Saturday, March 16, 2019. The family will receive friends Monday, March 25, 2019 at J. Henry Stuhr, Inc., Northwoods Chapel, 2180 Greenridge Road, from 1:30 P.M. to 3:30 P.M. Her memorial service will be held at All Saints Chapel, 2316 Red Bank Road, 100 Goose Creek, SC 29445, Thursday, May 23, 2019 at 3:00PM. Shirley Ann Harris was born April 13, 1936 in Landrum, South Carolina, daughter of the late Benjamin Allen and Mary Sue McDowell Allen. Shirley worked as a procurement officer. She too, was an avid bowler and golfer. She was a member of the Crowfield Ladies Golf Association and enjoyed bowling at Marrington Lanes on the Naval Weapons Station. Shirley attended church at All Saints Chapel at the Weapons Station. Besides her love of sports, Shirley always looked forward to putting on a big Thanksgiving feast for her family, making goodies for Christmas, as well as cruising. Above all, spending time with her grandchildren and family was most important. She is survived by her two daughters, Mary Pulwarty (Renwick) of Savannah, GA, daughter, Valarie Udeh (Chuk) of Charlotte, NC; son, Otis C. Harris Jr. (Nicolette) of Concord, NC; six grandchildren, Regina, Faith, Chidera, Amara, Kendall, Griffin; great-grandchild, Madison; sister, Barbara Cooksey; She was preceded in death by her parents, husband, and one brother Theodore McDowell. In lieu of flowers, a donation may be made in her name to the American Cancer Society, 5900 Core Road, Suite 504, North Charleston, SC 29406. Shirley was a Great Friend ! I looked forward to seeing her smiling face on the golf course ! Great golfer and Great Mother, Grandmother, Sister & Friend ! I will miss Her terribly ! She was a Fighter and Always took everything with a Grain of salt! Fly High my friend, love you, Yvonne S.
I am so very sorry for your loss. Shirley was a very dear friend whom I will miss dearly. We met through the Crowfield Ladies Group. She was such a beautiful lady both inside and out! My thoughts and prayers are with you all at this difficult time. May God bless you! Mrs. Shirley was a lovely lady, as well a former employee Navy Exchange NWS. She loved shopping at NEX, she will be missed. Fond memories I will always cherish about Mrs. Shirley, making sure her A&W Root Beer was in stock for her purchases at Navy Exchange. She told me she loved to make Root Beer floats and A&W was the best brand to make it with. I made sure it was always available for purchase. I knew Mrs. Shirley would be looking for me personally if it wasn't stocked. Sending Prayers to her Family. May God Bless each of you with his Love and Peace. Miss Harris was one of a kind. Most caring, loving and happy person I've know. I will miss her very much, but know she is with Mr.Harris in heaven with the other Angel's. Our thoughts and prayers are with you! Remembering Miss Shirley with a big smile and a bigger heart. Sending hug to all. God Bless and keep you. I will miss Shirley. 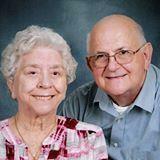 She and Otis sat behind me at church every Sunday and we always talked. Then after I moved up to live near my daughter she would join us when I came down for our pizza get-togethers. You all will be in my prayers. Please accept my dearest and heartfelt sympathy; I am so sorry for your loss. May the God who binds up the brokenhearted and comforts all who mourn sustain your family during this difficult time. Isaiah 61:1, 2. Shirley you were a pleasure to be with and you will be missed. Rest in peace. Life Stories provides friends and families a forum to post their favorite stories and memories of Shirley Ann Harris ensuring the precious experiences are never forgotten. Share joyful times, post a photo that captures the moments you cherish, and allow others to reply, relive and remember.